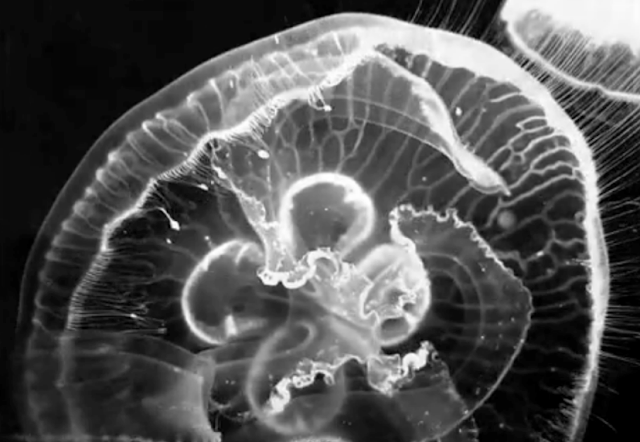 I never thought I would say this, or even want to see jellyfish out of choice, but this conceptual video entitled Metamorphosis by Elle Muliarchyk, has just proved that jellyfish can be beautiful creatures - not just the gooey white things that wash up on a cold beach after a storm. The video was created for part of Building Fashion - a series of collaborations between fashion designers and architects - at HL23 in New York. The navigation and graphics of the HL23 website is pretty cool too, take a look!